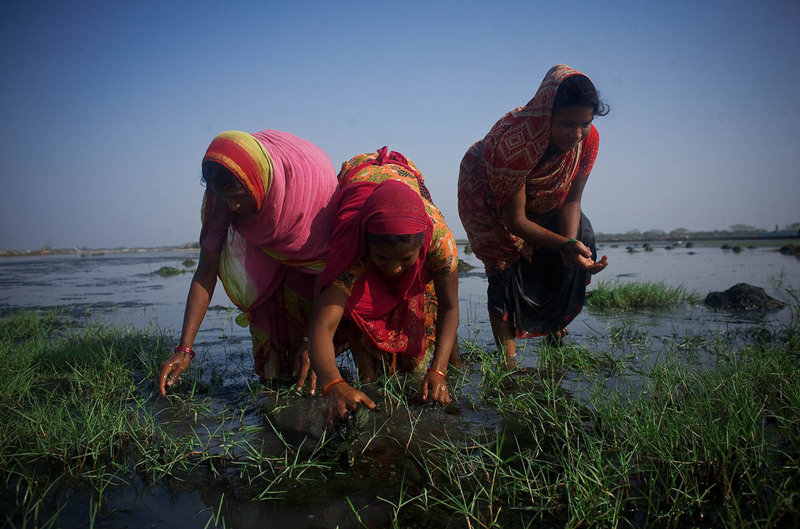 Women collect shrimp in Harinagar, earning around 80 taka (around $1.10) a day. Many people opt to farm shrimp instead of working in the jungle, where they could earn more money. The risks they would encounter in the jungle are best avoided.